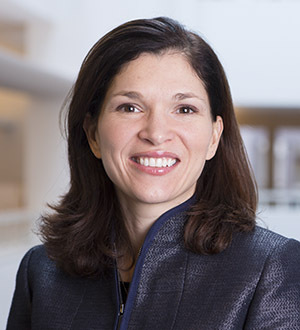 Laura Alfaro is the Warren Albert Professor at Harvard Business School in the Business, Government, and International Economy Unit. She was Minister of National Planning and Economic Policy in Costa Rica from 2010-2012. She is also Research Associate in the National Bureau of Economic Research’s International Macroeconomics and Finance Program, Faculty Associate at Harvard’s Weatherhead Center for International Affairs, and member of the David Rockefeller Center for Latin American Studies’ (DRCLAS) policy committee. Professor Alfaro is the author of multiple articles published in leading academic journals, and of Harvard Business School cases related to the field of international economics and in particular international capital flows, foreign direct investment, and sovereign debt. She has taught in General Management Program, the Program for Leadership Development, and in other executive education offerings as well the first year and second year of the MBA program and the doctoral program. Laura Alfaro earned her Ph.D. in Economics from the University of California, at Los Angeles (UCLA) in 1999, where she was recipient of the Dissertation Fellowship award. She received a B.A in economics with honors from the Universidad de Costa Rica in 1992 and a ‘Licenciatura’ from the Pontificia Universidad Católica of Chile in 1994, where she graduated with highest honors. In 2008, she was honored as a Young Global Leader by the World Economic Forum. Alfaro, Laura; Kanczuk, Fabio (2016): “Fiscal Rules and Sovereign Default”, Harvard Business School. Alfaro, Laura (2015): “Sovereign Debt Restructuring: Evaluating the Impact of the Argentina Ruling”, Harvard Business School & National Bureau of Economic Research. Alfaro, Laura (2015); Volosovych, Vadym; Kalemli-Ozcan, Sebnem: “Sovereigns, Upstream Capital Flows, and Global Imbalances”, Harvard Business School. Alfaro, Laura (2015): “Foreign direct investments: effects, complementarities and promotion”, in “Partners or Creditors? Attracting foreign investment and productive development to Central America and Dominican Republic”, Inter-American Development Bank. Alfaro, Laura; Chari, Anusha; Kanczuk, Fabio (2015): “Are capital controls effective? Firm-level evidence from Brazil”, Center for Economic Policy Research.